Green Pasture Farms operate online to deliver customers throughout the UK an organic, grass fed meat mail-order service. You can order a fabulous selection box - or even an entire cow, from their website, here. Green Pasture Farms appeared on my radar recently after they followed me on Twitter; prompting me to check out their website. 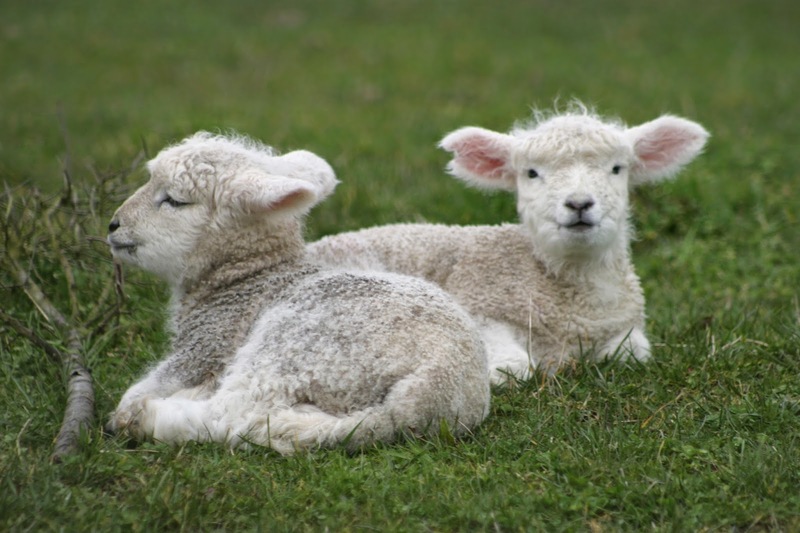 If you read my recent Vegan Dilemma posts, you'll know that I'm struggling at the moment to work out how meat and other animal product consumption fits in with my animal welfare ethics. I was really intrigued by a lot of Green Pasture's ethical policies - and wondered whether I'd found the answer to my troubled conscience. To find out more, I managed to bag an interview with Simon Whyatt at Green Pasture to find out more about what makes them different. There's been a lot of talk in the news lately of people moving away from supermarkets and large chains, and really embracing the concept of shopping with independent retailers and directly with producers. This is obviously great news for a business like yours, but it does mean that lots of people are jumping on the "ethical animal products bandwagon". How does Green Pasture stand out in this market, and what do you believe you do differently from a lot of so called "ethical" and "organic" food producers? Firstly, providing they are actually farming in an "ethical" manner, the more people jumping on the bandwagon, the better. There is a bit of a myth that consumer choices don't make a difference, ("why bother boycotting Product X, as 1 person doesn't make a difference.") The appearance of more and more businesses like ours is testament to how and where you spend your £'s making a difference. Of course, there is always the danger of "greenwashing". In the supermarkets, and online, you'll find "Higher Welfare Meat", "Outdoor Bred", and other types of supposedly "good" meat, and they're really far from it. Even "free-range" actually means very little. We could really benefit from a better labelling system. Much organic meat, while a step in the right direction, is still fed on large amounts of grain, which is not, in our opinion, really a sustainable option, but more on that in a second. 2. I love that your animals enjoy the freedom to roam, and a natural diet. You speak on your own website about the economic objection that many vegetarians have towards the rearing of animals for meat (use of resources such as land, water and plant based foods). You don't mention Co2 emissions though, is this a worry for you, as a business producing meat? Industrial meat production is an ethical and ecological nightmare. This is a process far, far removed from what we do. It is the farming of cereals and soy beans to be fed to animals that requires large uses of land, water and fossil fuels for fertilizers and pesticides. The extraction of these fossil fuels, tilling and sowing the land, and harvesting the crops, all result in huge amounts of Co2 production. If you are going to produce crops in this manner, it would be much more efficient to feed them directly to humans. Our cows and sheep are not fed any cereals or soy, however. They eat only grass, which is not edible by humans. The land on which they graze is not suitable for crop cultivation, and does not require irrigation, chemical fertilisation, or pesticide use. Unlike monocropping, our pastures are rich and diverse ecosystems, shared with a whole host of wild plants and animals. Unlike cows raised on concrete in pens, our cows sequester carbon back in to the soil, and help nurture our planet's fragile skin. 3. It's wonderful that your farming methods nurture British wildlife - it's something I feel very passionately about. Many vegetarians, and especially vegans, however, have further ethical objections to meat farming, not just on large factory farms, but on smaller farms such as yours. Many would argue that there is nothing ethical about keeping animals purely to feed humans, when we are able to live a healthy life on a plant based diet. These people would argue that animals are sentient beings and don't deserved to be slaughtered, whether in a local abattoir or otherwise, just so that someone can enjoy a great steak. How would you answer these objections? To answer the popular vegan argument, for example, would you find it acceptable to slaughter and serve your own family pets? Dogs and cats perhaps? And if not, why not? I was vegetarian for 13 years. I've never had a problem with the killing of animals however, but with how they live. A bit of shocking news for vegetarians and vegans: if a human doesn't kill an animal, it will die at some point anyway, either from disease, old age, or in the jaws of a less sensitive predator than a human. If I had the choice, I'd much rather be a farm animal on a nice farm - a life of luxury, followed by a swift and painful death - than a wild animal - a life of hunger, cold, and fear, followed by a slow and painful death. Vegetarians and vegans also kid themselves that there is no death on their plate, when this is far from the case. Many small rodents and reptiles get shredded in the blades of combine harvesters, but perhaps they don't count, as you can't see them on your plate? One steak on your plate doesn't = one dead cow either; it's more like 1/1000th of a cow. If you eat 1000 200g portions of grass fed beef, you've contributed to the death of 1 cow, which has lived well and had minimum impact on the planet. If you've eaten 1000 balanced veggie meals (i.e those that must contain grains and legumes, not just vegetables) how many animal deaths have you contributed to? How much fossil fuel use was involved? Was it/could it all have been produced locally? Pigs are easily as "cute" (and intelligent) as dogs, they are like family pets, which is why we treat them with love and respect. Personally, I'd eat any animal that had had a good life and hadn't suffered, provided it was tasty of course (which, in my experience, they generally are). I'd also argue against the concept that steaks are eaten just for fun. Humans are obligate omnivores - my health suffered whilst I was a veggie. Perhaps some people can cope better for longer than others, but eventually you'll still need some vitamin B12. I don't think it's necessary to eat meat everyday, but it is an important part of the diet, and also the eco-system. Plants eat dead animals. If we don't farm them, we have to rely on animals which died millions of years ago, in the form of fossil fuels. As these fossil fuels dwindle, we are just going to see more wars and exploitation of developing countries. 4. Your "Cow Share" programme is a fantastic idea! I love it! 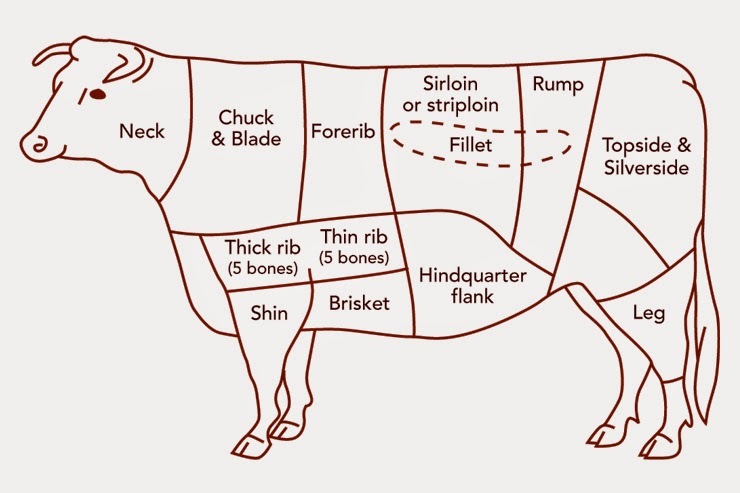 Does this way of buying meat prove popular with your customers? We have quite a few customers who go for the cow share option. It works really well for large groups of like minded people - they could be members of a gym or sports club, or simply a group of foodies, or similar. We can also send each 1/10th of a cow, to different addresses, so it doesn't matter if you're a virtual group, united by ethics, but not location! 5. How many different farmers do you work with? 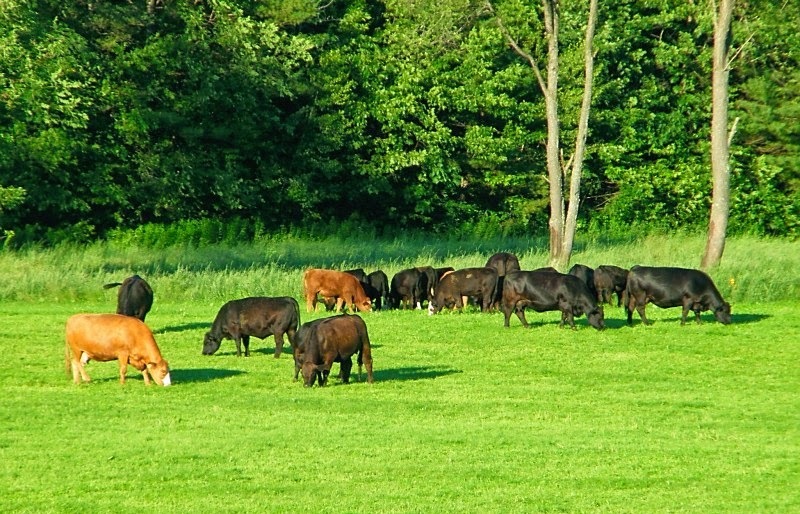 What procedures take place to select those farms who get to produce meat for Green Pasture? When we first started, we were a collective of 3 farms - one beef, one lamb, and another pork and chicken. As we've grown over the last few years, we've been able to not only grow our own farms, but also other, local, traditional farms, with whom we've had a connection over generations. When demand is high, and we can't meet our orders through our own production, we only ever buy in extra meat from other local farms which we know personally, and have seen with our own eyes how their animals are raised. 6. I noticed that you have previously sold cow's milk. This is not available on your website at the moment, but is it something that's likely to come back? If so, what do you believe are the advantages of drinking grass fed raw milk over the cow's milk that we can buy in the supermarket? The laws regarding the sale of raw milk are currently under review by the FSA, up until which point, we are not able to offer it for sale. Whether it will be back will depend on the result of the review. Personally, I think raw milk tastes better, and demands better farming practices which result in happier animals. The dairy debate (Pasteurised vs. Raw vs. Dairy Free) will most likely rage on and on, but I do believe ultimately that the consumer should have the right to choose. 7. On a final, festive note, I'm not a huge fan of turkey, what else have you found to be a popular Christmas meat amongst your customers? Is the turkey still riding high, or have you noticed an increased number of customers deciding to buck the trend? Turkey is still definitely the most popular. As a point of interest, this year, due to previous year's demands, we're not farming the turkeys on our own farm, but have got another local farmer who used to barn raise his turkeys, to convert to pasture raising - another success for consumer buying power! He's been surprised, as his running costs have actually gone down, as his turkeys eat a fraction of the feed that they used to, now that they can forage out in the open. Goose is growing in popularity each year, however, and may even catch up this Christmas - we shall have to see! This interview shed some interesting light on the Omnivore vs. Vegetarian debate, and I hope it interested those on both sides of the fence - I'd love to hear your responses - whatever your eating habits. Do you agree with Simon? Do his attitudes towards farming appeal to you? I definitely think that as an omnivore, I'd rather shop with Green Pastures than elsewhere, although I disagree with some of Simon's ideas, particular in relation to why we eat meat. For me, it's difficult to get behind the idea that without slaughter, animals will die anyway - most farm animals wouldn't exist to begin with if it weren't for meat production, and so this argument can only really apply to wild animals that are shot for food. Would I rather be a wild animal shot in my prime, or lead my full natural life and die of natural causes? It's difficult to say. As a human, I think I'd rather live to old age and die with a poorly functioning body, perhaps of an unpleasant illness, than be murdered at thirty! You can find out more about Green Pasture Farms here. Read more about Simon's arguments for an omnivorous diet here. Read more about Simon's thoughts on raw cow's milk here.